Love our videos? 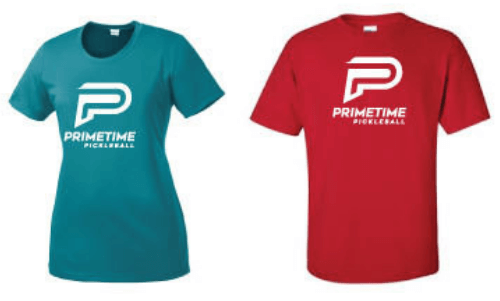 Rock your PrimeTime Pickleball pride both on and off the court in these stunning performance and casual shirts. PrimeTime Pickleball is proud to be sponsored by DinkTee.com, the makers of fun pickleball apparel. No matter your style, DinkTee is sure to have apparel that expresses your inner Pickler and that you will love to wear.